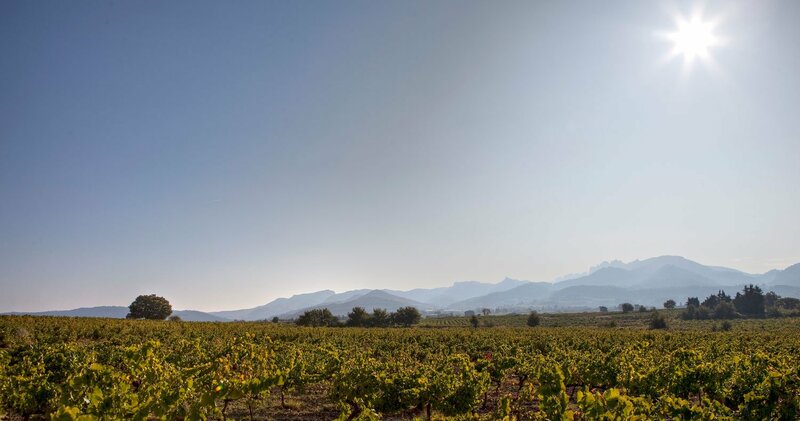 Our domain comprises 58 hectares and 38 parcels of vines. 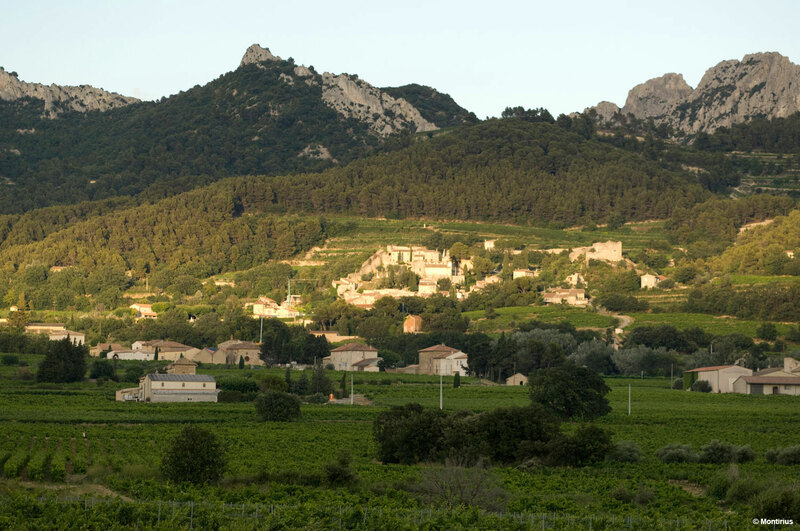 It extends over the vine classifications of Vacqueyras, Gigondas and Côtes du Rhône in the southern Rhône valley. There are 24 hectares of old vines of which the average age is 60 years old. 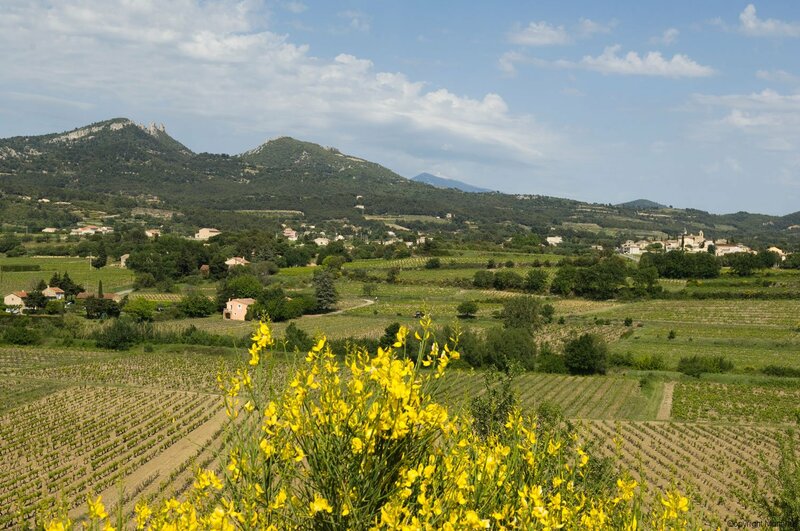 They are all situated around the village of Vacqueyras on a plateau. The vines rest on typical plateau soil and the sub soil is composed of clayey blue marl. The vine varieties are 70% Grenache and 30% Syrah. A unique parcel of 8.5 hectares of vines situated at the beginning of the plateau, with, on the slopes on all sides, 11 hectares of 100 year old oak woods which protect the vines and separate them from the other vines of the same classification. There is a micro climate around this parcel of vines and a particularly light rainfall. The vines were planted in 1989 by Christine and Eric Saurel. The soil is composed of ‘Garrigues’ or plateau soil, and the sub soil is of clayey blue marl and Helvetian grit containing the most complex clay: Montmorillonite. 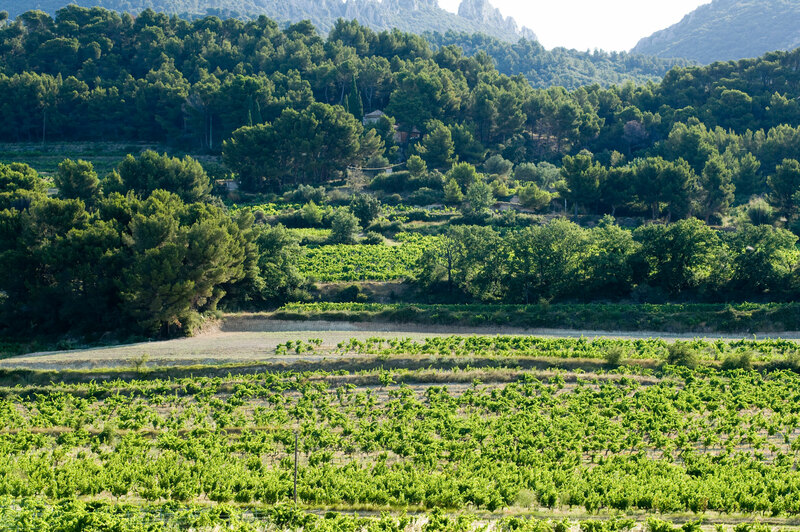 It is one of the most beautiful parcels of land in Vacqueyras. Note: The grapes express three different types of land here. The vine varieties are 50% Grenache and 50% Syrah. 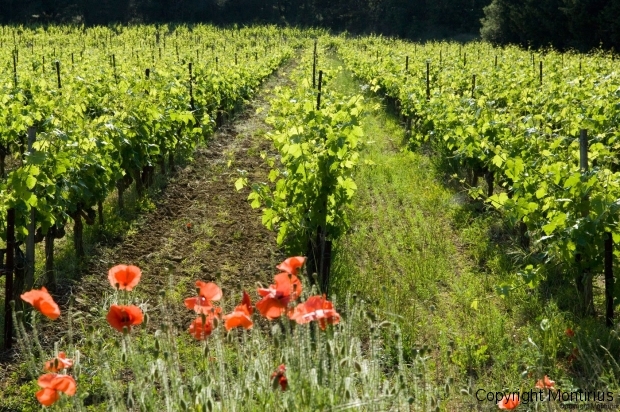 Our Gigondas vines extend over 16 hectares and three parcels of land. Eight hectares are of old vines planted by Eric’s paternal great grandfather Henri Saurel, in 1925 using a steam powered machine. One parcel of 10 hectares rests on old alluvial ‘MINDEL’ soil and ‘PLIOCENE’ clayey blue marl on a foundation of HELVETIAN sand and grit. One parcel rests on ‘BARREMIEN’ limestone and marl. One parcel rests on ‘OLIGOCENE’ red clay. Note: The grapes express five different types of land here. The average age is very old. The vine varieties are 80% Grenache and 20% Syrah. 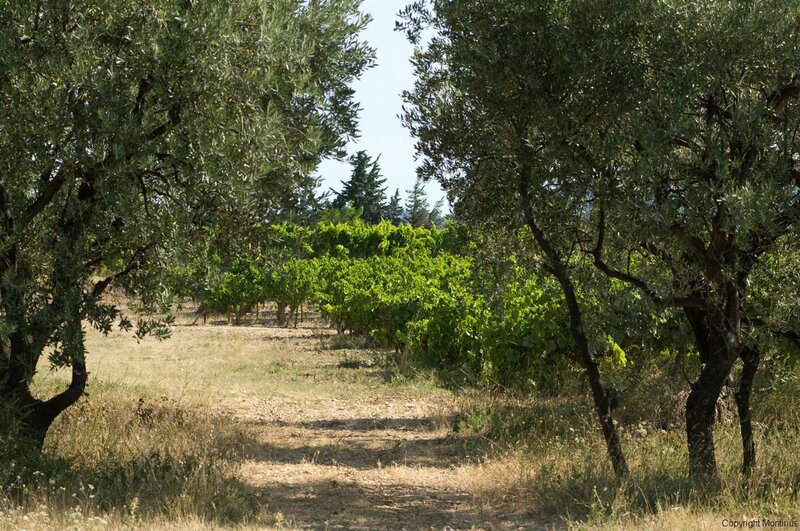 Our Côtes du Rhône extends over 5 hectares and five parcels of vines. Three parcels each of 1 hectare are situated around the village of Sarrians. The vines are 25 years old. They are resting in plateau soil with a sub soil of Helvetian sand and sandstone. 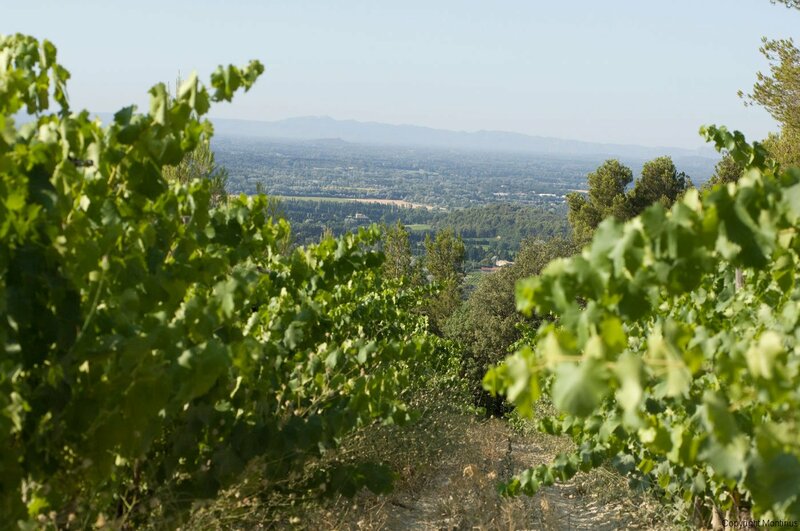 One parcel of 1 hectare has 100% old Grenache vines (55 years old) situated near the village of Sablet. Sablet is classified ‘Côtes du Rhône Village’. The soil is sandy clay and the sub soil is composed of Helvetian yellow sandstone and sand. 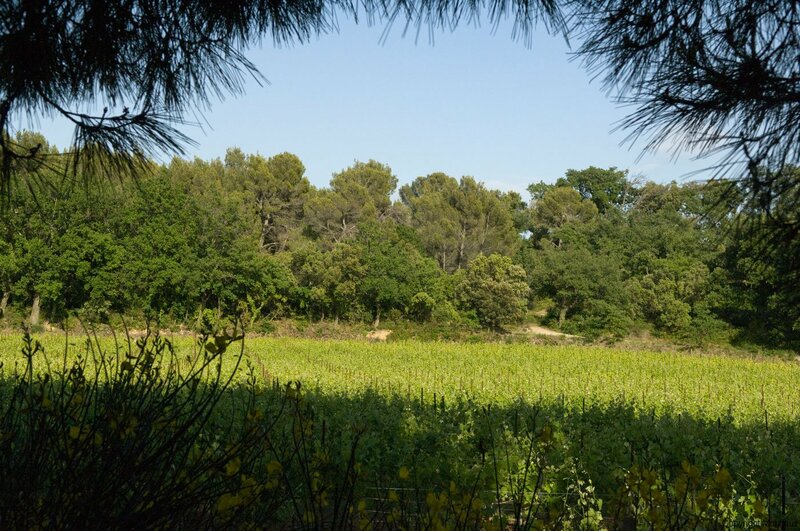 One parcel of 1 hectare of the ‘Côtes du Rhône’ is situated near the village of Sarrians near the parcel we call ‘Le Clos’. This parcel is protected on two sides by forest. The 50 year old vines rest on Helvetian sandstone and sand. The micro climate here is cool. 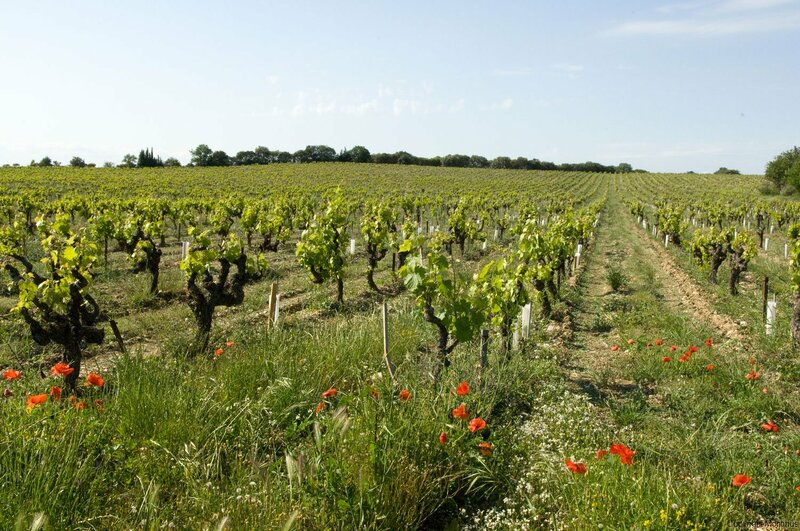 These parcels of land were leased to Eric Saurel in 2007 by a retired neighbor who was happy to see his vines maintained and worked in the bio-dynamic culture. One 7 hectare parcel situated on the banks of the ‘Ouvez’ river. This parcel is planted with Grenache, Syrah and Merlot. The soil is composed of ‘WÜRM’ alluvial sand silt resting on Ouvez gravel. The river dries up in summer which stops the hydration to the vine roots. Therefore there is less vegetation and more concentration of sugar in the grapes and pips. One 1.5 hectare parcel was leased to Eric Saurel in 2007 by a retired family friend. 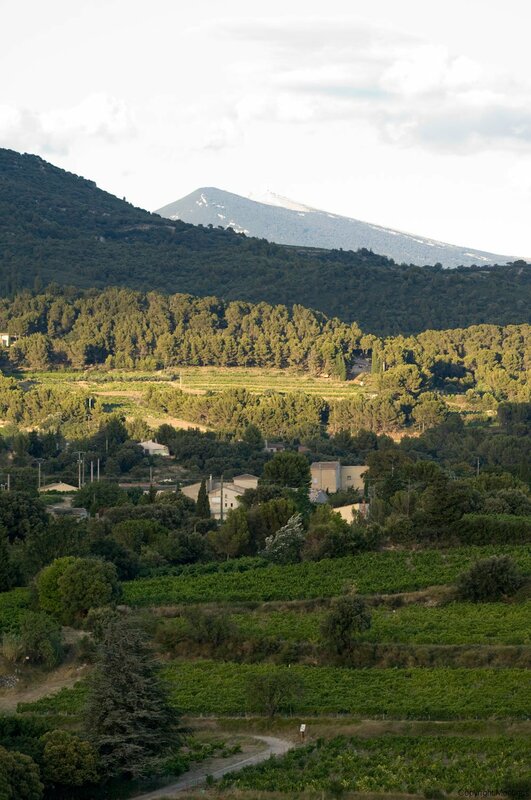 It is situated around the village of Sarrians and is 100% Syrah. We converted immediately to bio-dynamic culture. The soil is composed of silty alluvium covering a foundation of Helvetian sandstone and sand. From the first harvest the grapes from this new parcel surprised us with their freshness, and this is repeated each year despite the weather conditions. Vacqueyras is a classification more known for its red wines. The white wines represent 3% of the classification and merit a gustatory venture. Vines of ‘white Grenache’ planted by Paul Seignour the maternal grandfather of Eric Saurel in 1947. They rest on plateau soil and on sub soil of blue and red clayey marl. ‘Roussanne’ vines planted by Eric Saurel in 1993. They rest in Helvetian sand and sandstone soil. ‘Bourboulenc’ vines planted by Eric Saurel in 1993. An old vine variety which is little known and not well liked in the region because of its late maturing (harvested normally at the end of October, one month after the red grapes). The vines rest on plateau soil and sub soil of Helvetian sand and sandstone. Note: What is surprising for our region is that our wines keep their minerals, freshness and complexity with time. This can be verified by doing a vintage by vintage wine tasting of these white wines.